On January 21st, 2015 the White House held it’s second annual Giant Wheel of Cheese Day. It’s an all day event where White House staffers take to the social media to talk with the average citizen and answer questions. But, why the Giant Wheel of Cheese? Well…it all goes back to Jackson. 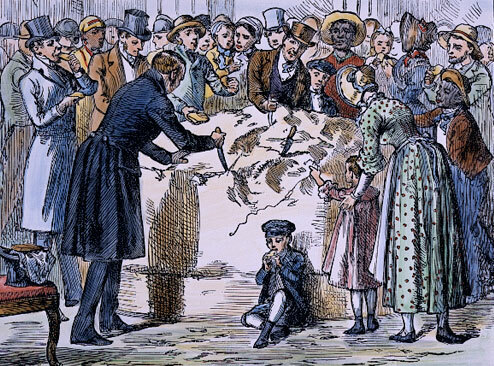 Historical Interpreters Peyton Rodeffer and Trey Gwinn sit down to talk about the first Giant Wheel of Cheese Day at the White House….way back in 1837.